Courtesy of HELP-U-SELL OF GREENSBORO. 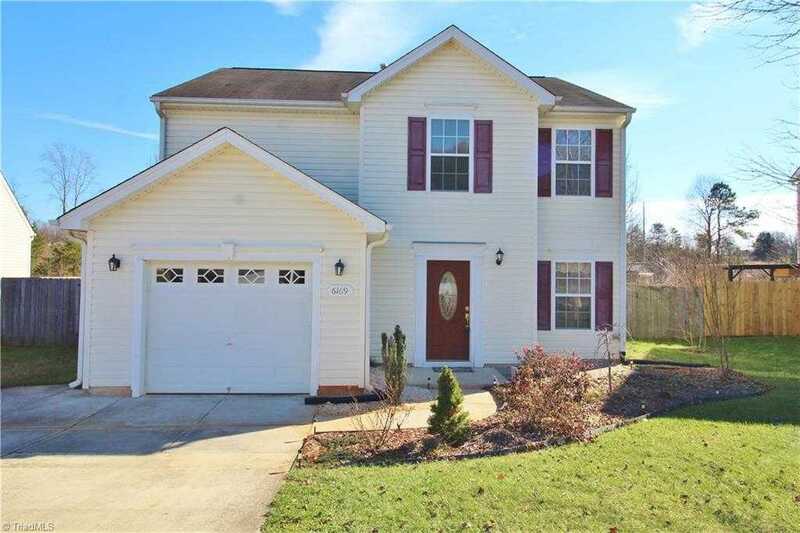 Kernersville – Winston Salem area 4Br 2.5Ba in Glenn Meadows community. Large bedrooms! Large eat-in country kitchen with walk-in pantry. New microwave & range. Single car attached garage. Deep fenced backyard with rear deck & pergola great for outdoor entertaining and play! Vinyl siding exterior. Fridge can stay! Convenient access to I40. MOVE IN READY! Directions: I-40 to south on Union Cross Rd. Rt on Glenn Hi to left on Glen Way Dr. Please, send me more information on this property: MLS# 914028 – $175,000 – 6169 Glen Way Drive, Winston Salem, NC 27107. I would like to schedule a private showing for this property: MLS# 914028 – $175,000 – 6169 Glen Way Drive, Winston Salem, NC 27107.